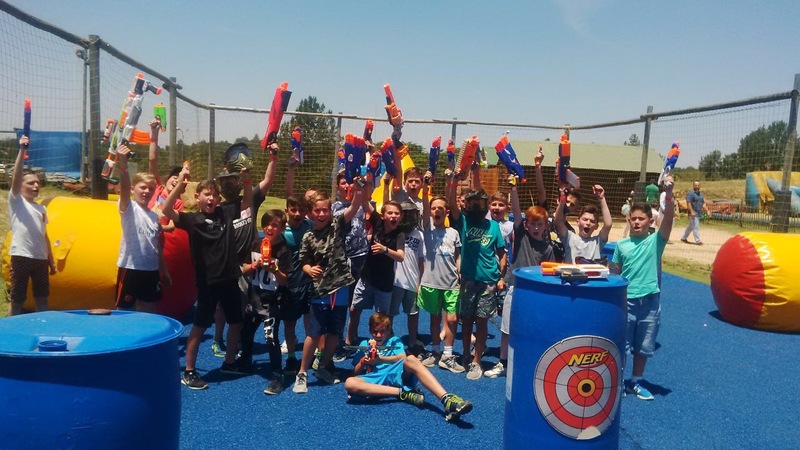 Nerf Zone is a popular outdoor attraction and available throughout the year. 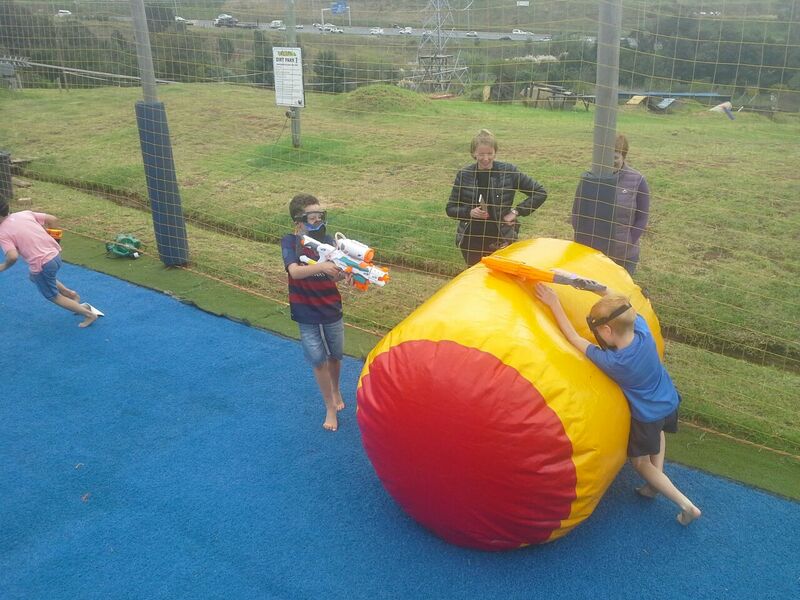 Introducing Nerf wars birthday parties, where excitement reaches fever pitch for kids aged 5-14. 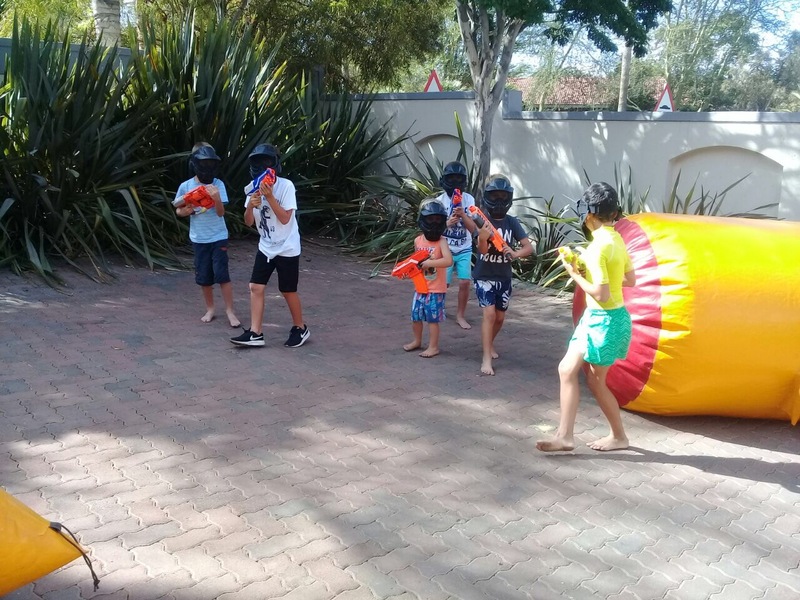 Our Nerf War birthday parties, the first in South Africa, combine inflatable bunkers with exciting games organised by a Nerf zone commander, and a range of nerf guns that would make Rambo himself go weak at the knees. Put your NERF skills to the test with the ultimate outdoor attraction. 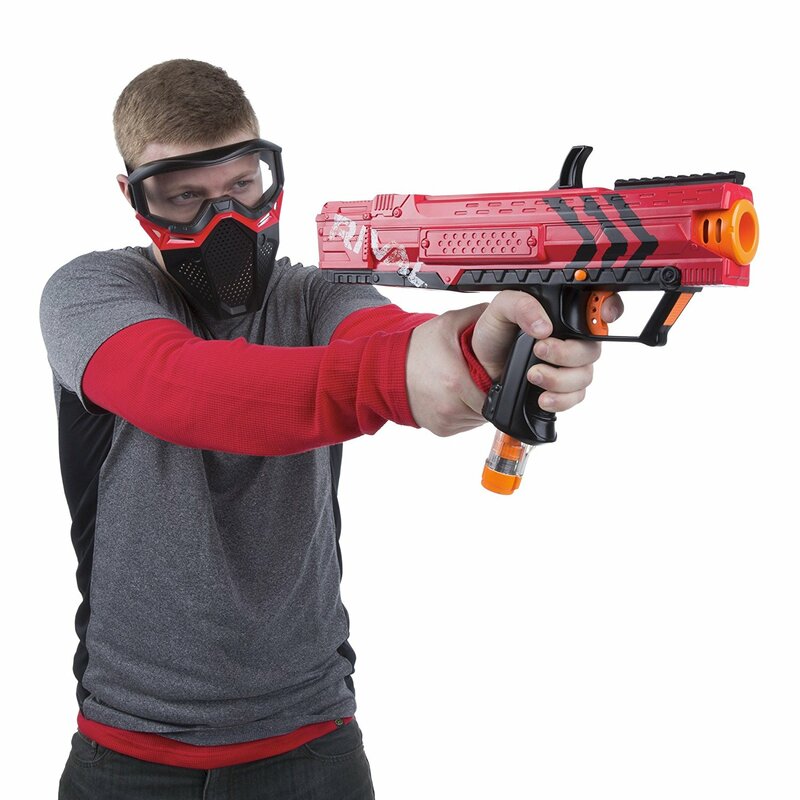 Each participant will receive goggles and of course the all-important NERF Blaster. Sharpen your skills in the target range and gain as many points as you can before the big battle. 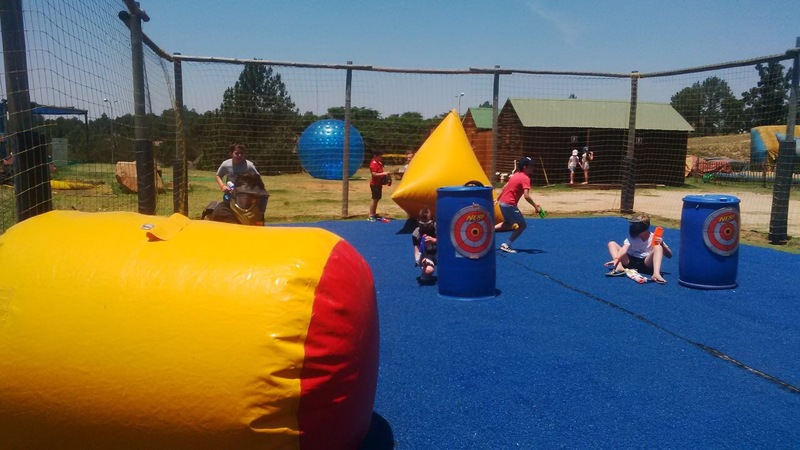 NERF Zone is a popular outdoor attraction and available throughout the year. Simply choose your Nerf package and prepare to battle it out. 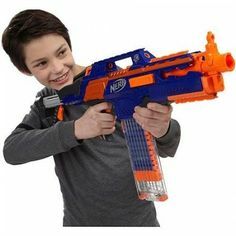 NERF Zone is suitable for children aged 5 and over. 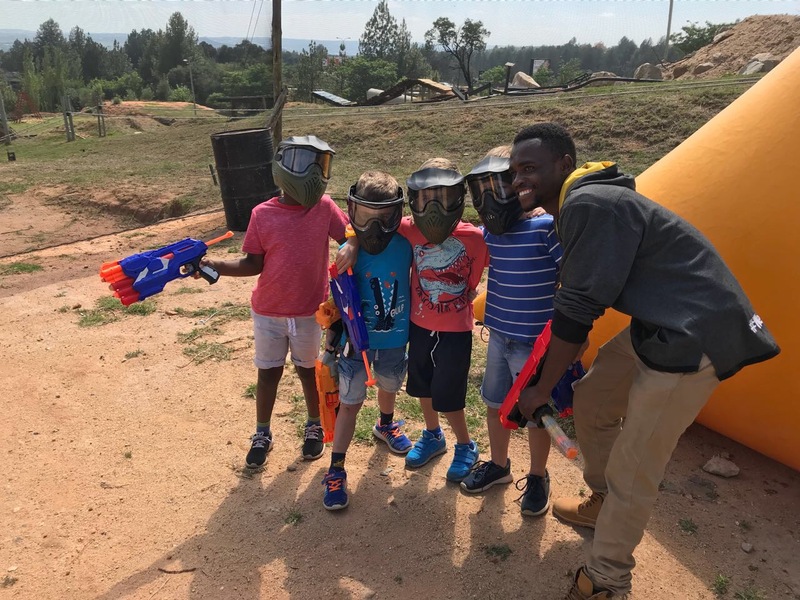 We currently offer 2 Nerf courts & three session times for NERF PARTIES either, 9:30 – 11:30 or 12:00 – 14:00 or 14:30-16:30. 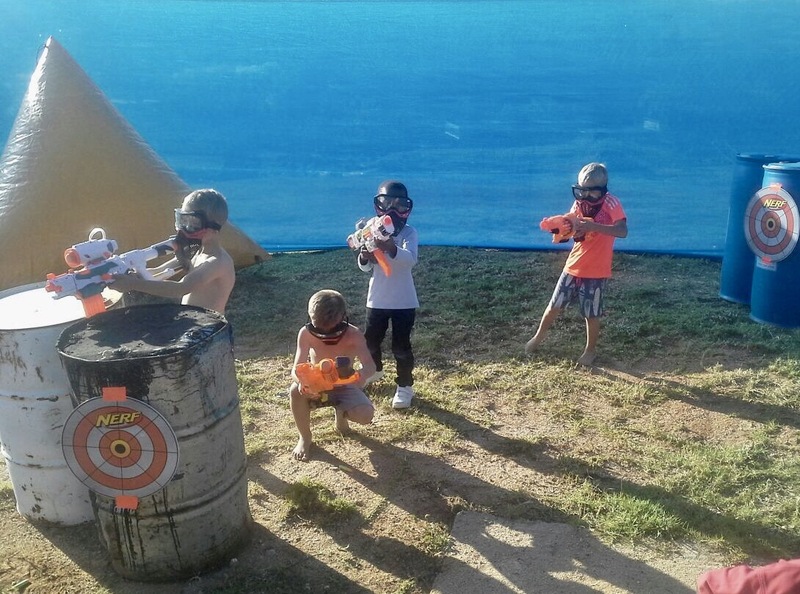 2 hour exclusive party hire (up-to 90 minutes game time and up-to 30 mins for your own party food within our designated party area at our Nerf Zone – minimum 10 people with unlimited Darts at R160.00 per person. Still the most popular game for most parties. 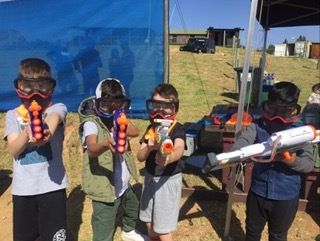 This package is perfect for both children & adults, we will supply all the Guns, Safety glasses and Ammo along with the barricades to hide behind and the Props to play the games, also the friendly staff to run the party. Two teams battle it out to be the best, will it be - THE ZOMBIES or THE ALIENS? 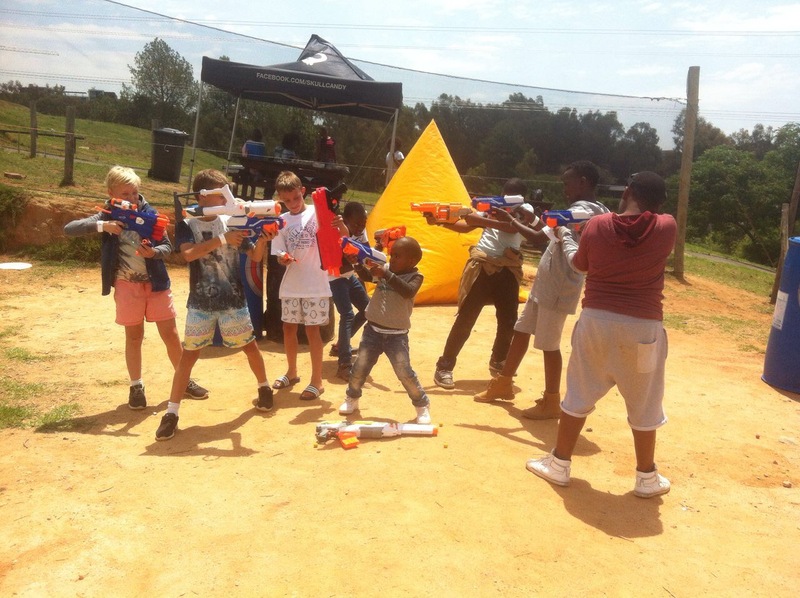 Our Nerf parties feature a range of Nerf guns, props & bases, themed games and challenges such as capture the flag, the bomb, civil war & speed nerf to name a few. We are now able to offer the NERF RIVAL experience for your party for up to 12 players from age 10 years and up. It’s a head-to-head combat competition with ultimate precision and power with the NERF RIVAL. Two teams battle it out to be the best, will it be TEAM FIRE (red guns) or TEAM ICE (blue guns)? We will supply all the guns, face masks and ammo, along with the barricades to hide behind and the Props to play the games, also the friendly staff to run the party. We can bring Nerf wars to you.